Import PE prices in China have mostly followed a softening trend since late June. November has been another month of price cuts amid lower oil prices, falling futures markets and a lack of supply issues. 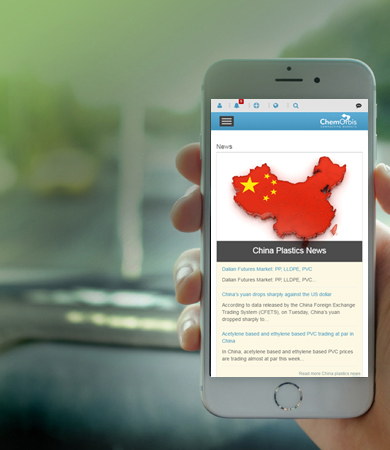 Moreover, mounting concerns over the ongoing trade war between the US and China kept trading volumes at a bare minimum for PE. 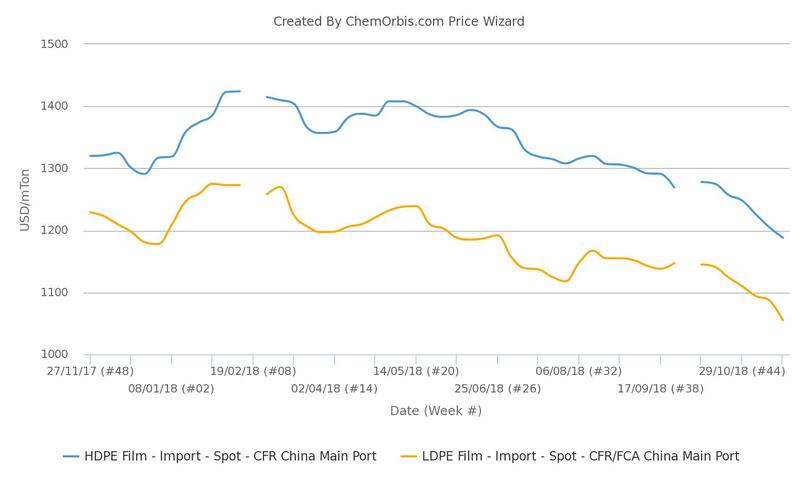 In a product breakdown, import HDPE and LDPE film prices plunged by around $70/ton during last one month, while LLDPE posted a cumulative decline of $60/ton in the period, according to the weekly average data from ChemOrbis Price Index. Furthermore, crude oil prices on a weekly average slumped by almost 27% since the beginning of October, according to ChemOrbis Price Wizard. Although spot ethylene prices in Asia firmed up in the last two weeks after hitting almost a three-year low in early November, they have failed to boost sentiment for downstream PE so far. Most players expect the weak path to remain in place over the near term since supply is outweighing demand in the country. Two major producers’ overall polyolefin supplies were slightly higher from last week at around 870,000 tons.